A view down Broadway Avenue in downtown Detroit. 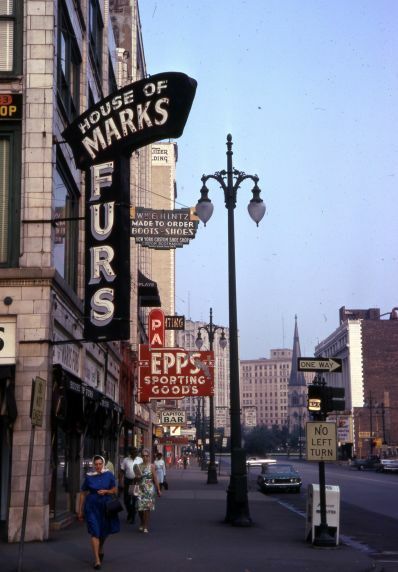 Numerous businesses are in view, including: House of Marks Furs, Wm. E. Hintz Shoes, Epps Sporting Goods, the Capitol Bar and the Wurlitzer Building.